We have been serving our soba salad since we opened CIBI in 2008. When I created this dish, I wanted to add a touch of western flavour so that it became a café-like dish as well as a CIBI dish. Many of our regulars come in just for this salad. This is a simpler version that you can cook at home anytime. All you really need in your cupboard is soba noodles, soy sauce and lemon! black pepper to taste and mix well. in a small bowl with 50ml (1¾ fl oz) water and mix well. then slice it into 1cm x 5cm (½ x 2 in) rectangles. relish and serve the rest of the relish on the side. 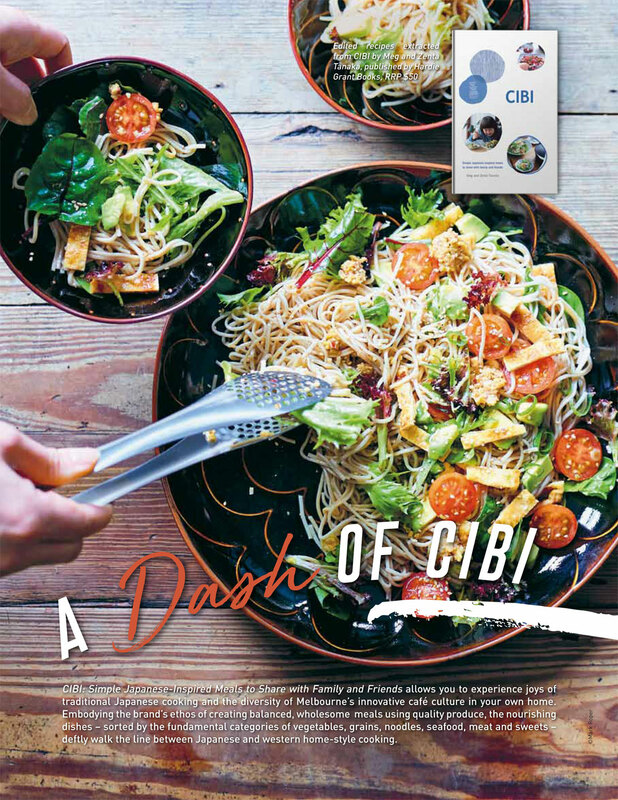 Several years ago at CIBI, I wanted to serve something quite Japanese, but with CIBI style – something everyone would love to eat. This okonomi-yaki is totally unique and gluten-free, lighter than the usual Japanese okonomi-yaki. We use lots of fresh sweet corn mixed with finely shredded cabbage. 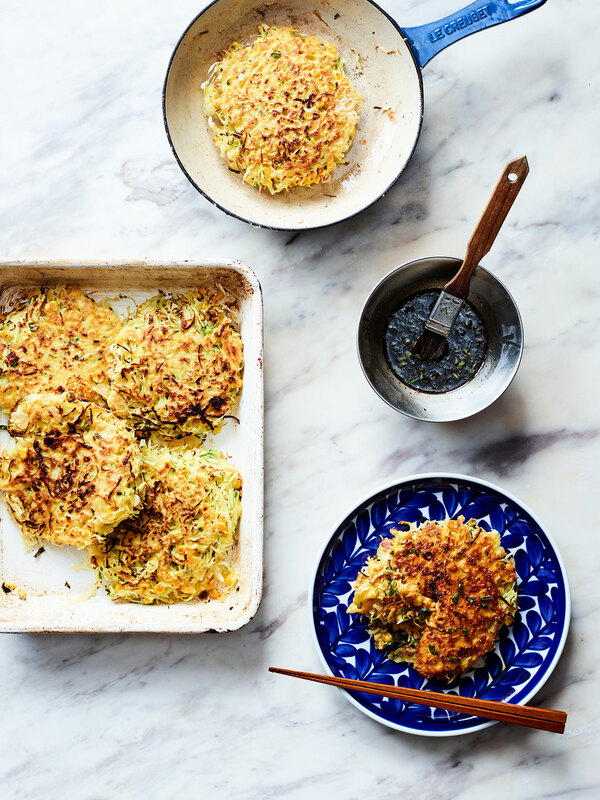 This recipe makes four okonomi-yaki, but you can make smaller ones as a snack or larger ones as a full meal. has cooled down, cut the kernels off the cob. 5. In another bowl, beat the eggs with a fork or chopsticks. frozen), spring onion, ginger, eggs and flour mixture. Mix well with a fork or chopsticks. three more pancakes. If necessary, add more oil to the pan. We have served these muffins at CIBI every weekend since we opened. 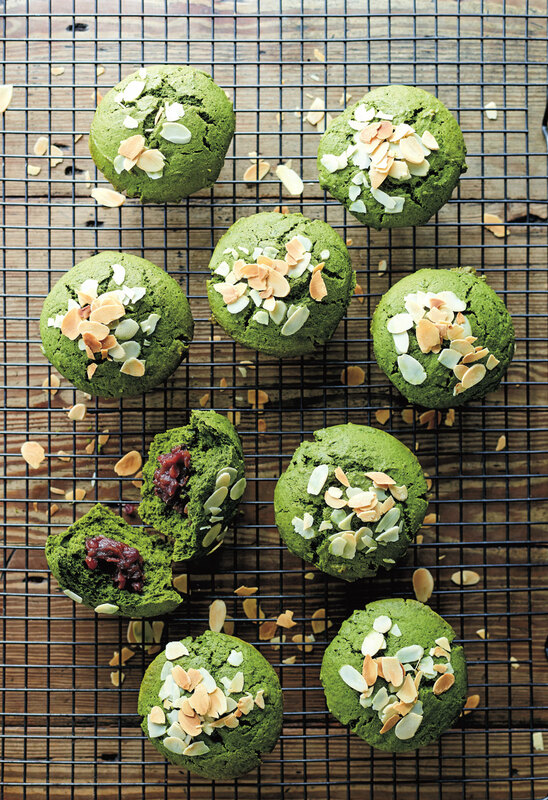 Two classic Japanese sweet ingredients – matcha (green tea) powder and sweet azuki beans – give these muffins their distinct flavour and the unique green colour that has caught the eye of many of our customers. Over the years, they have become the finishing note of our leisurely Japanese weekend breakfast experience. They are great with both green tea and coffee. 4. Add the melted butter and beat until well incorporated. Pour in the milk and beat again for 30 seconds to 1 minute. then stir with a spatula until smooth and shiny. 6. Pour the batter into the muffin tin, half-filling each cup. pouring in just enough to cover the filling. 50g (1¾ oz) of couverture white chocolate.